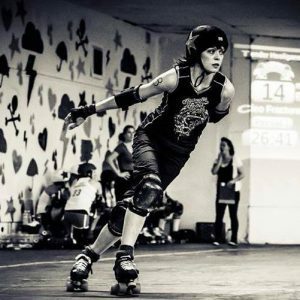 Well done to our B team the Whippin’ Hinnies who did Newcastle Roller Girls proud at the weekend by smashing their predicted score against the Rainy City Roller Girls’ Tender Hooligans. Actual score: Newcastle B 235 : 248 Rainy City B! Previous PostHelp NRG win a share of £30,000 from the Evening ChronicleNext PostBlock 2 School Double Bout!